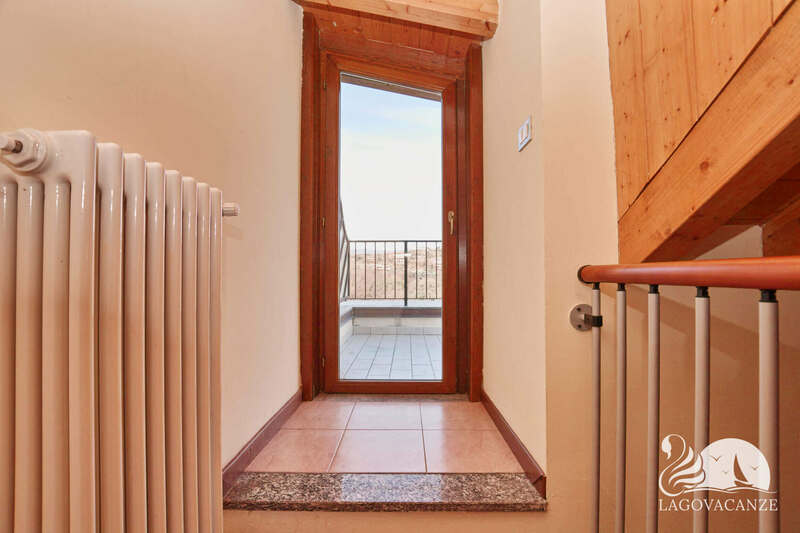 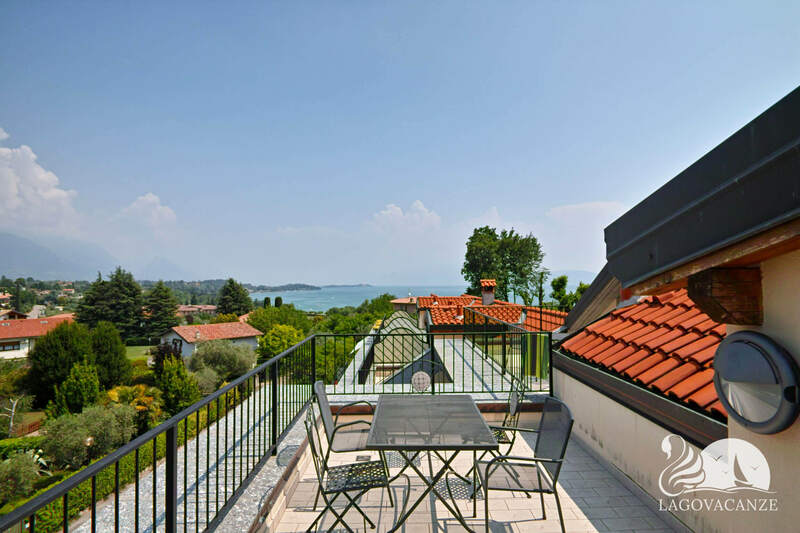 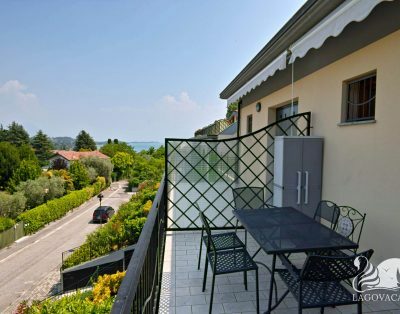 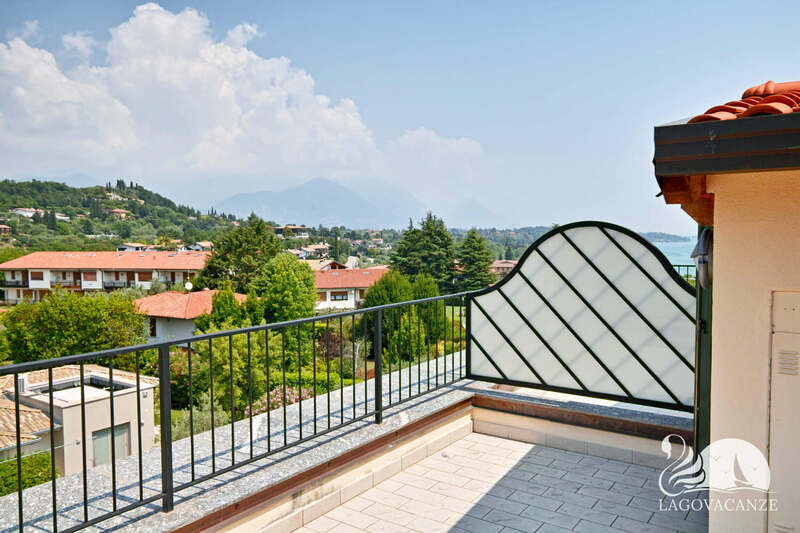 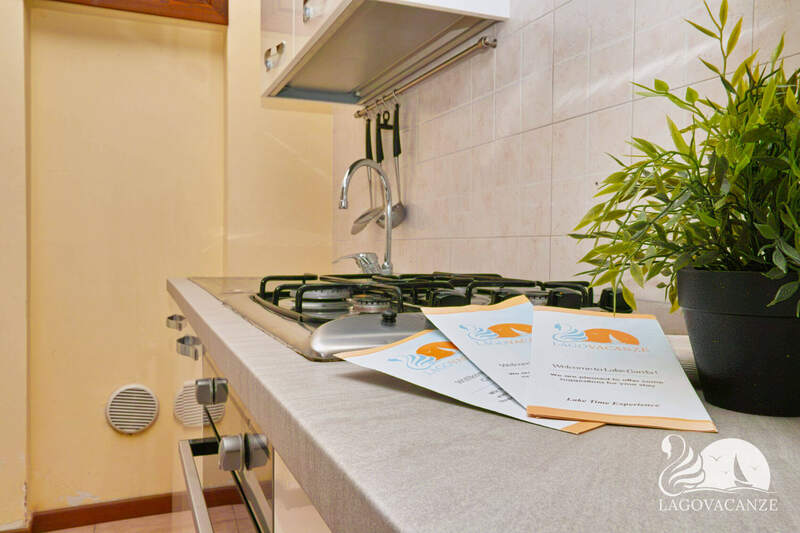 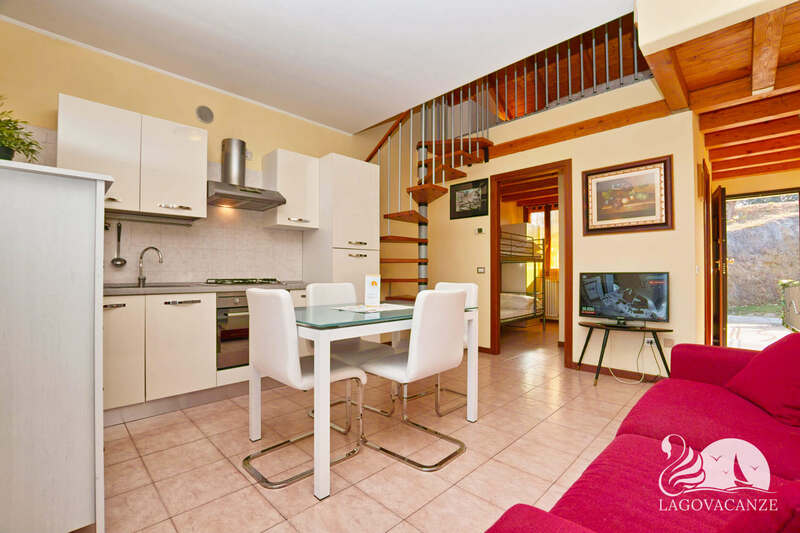 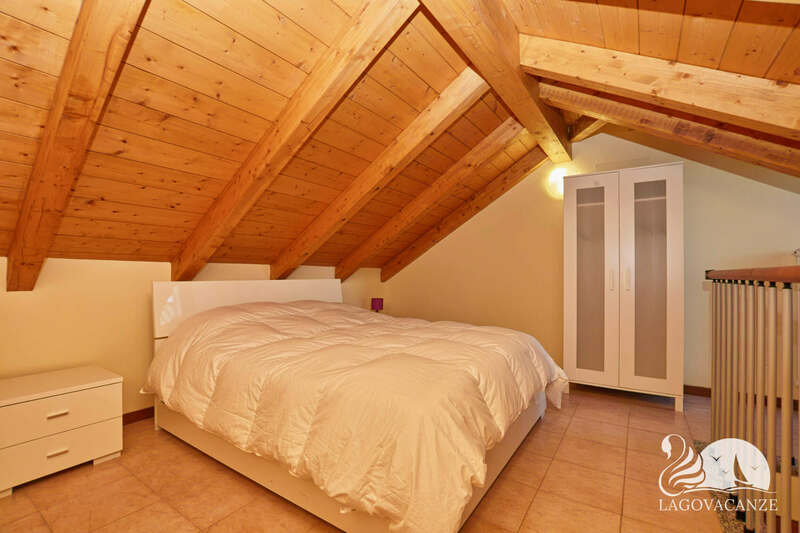 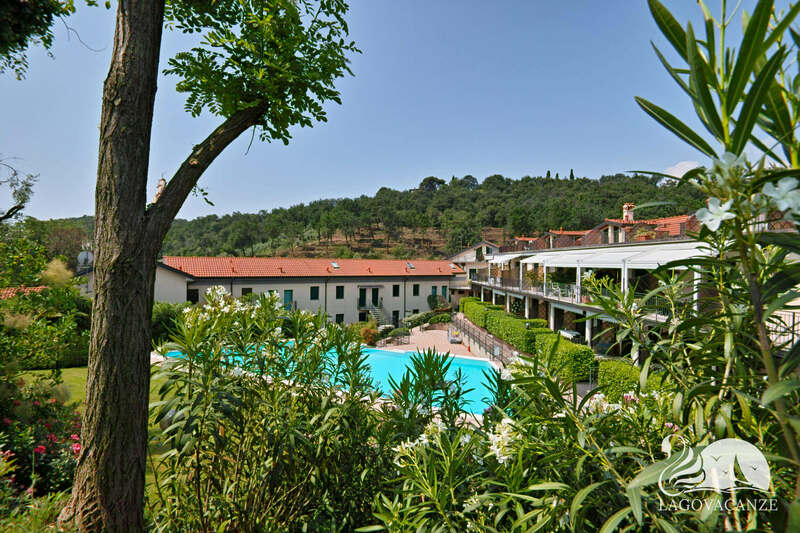 Apartment in holiday rent, with mezzanine, in Pieve Vecchia of Manerba, in a marvellous Residence in nearby to the Garda Lake. 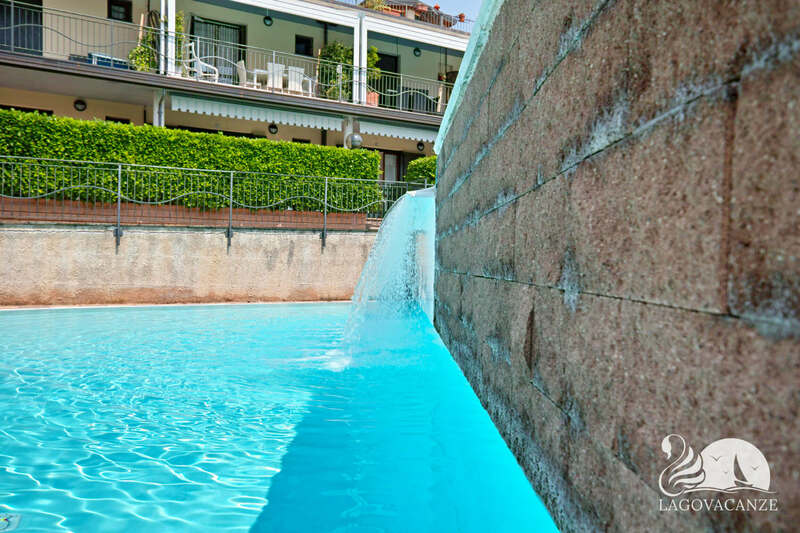 The apartment has a private terrace and also a magnificent common swimming pool zone of the residence. 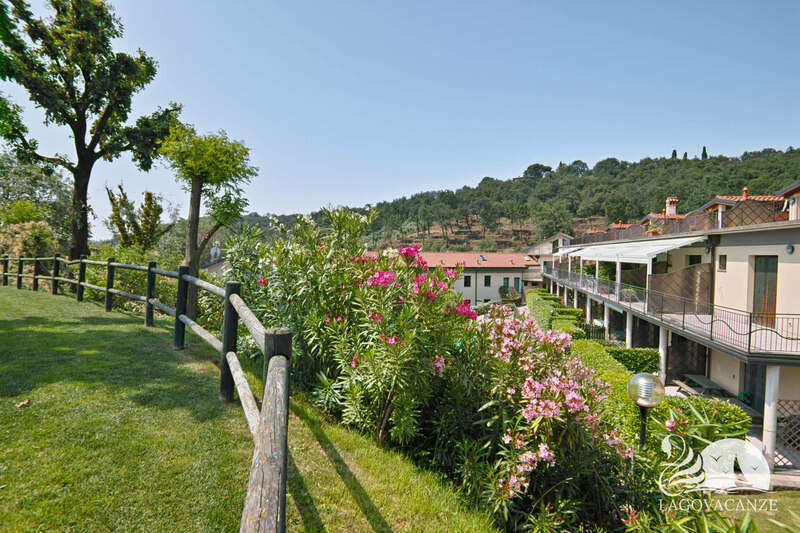 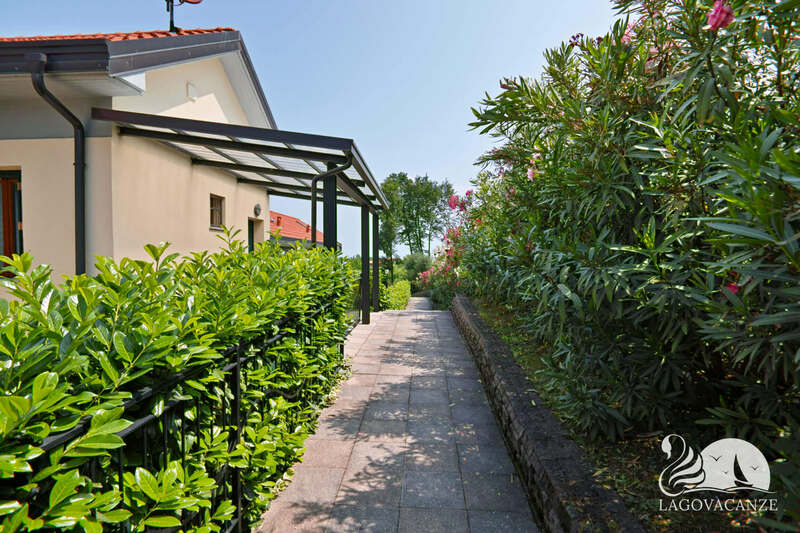 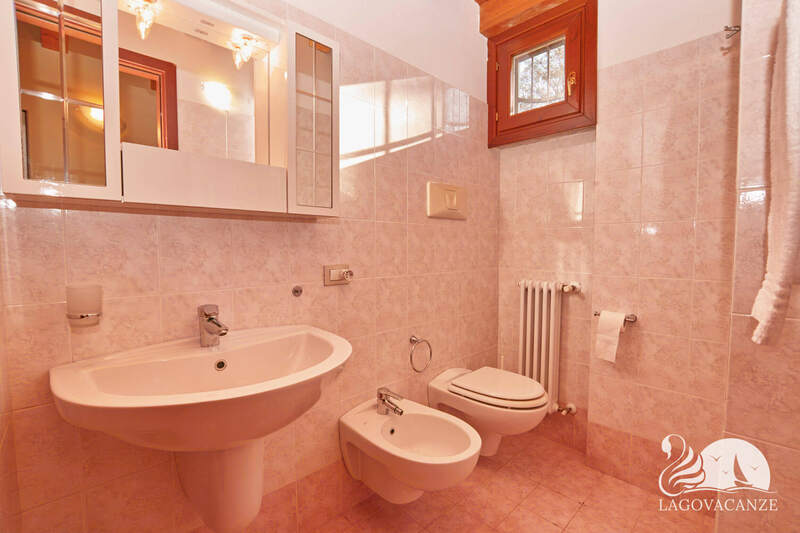 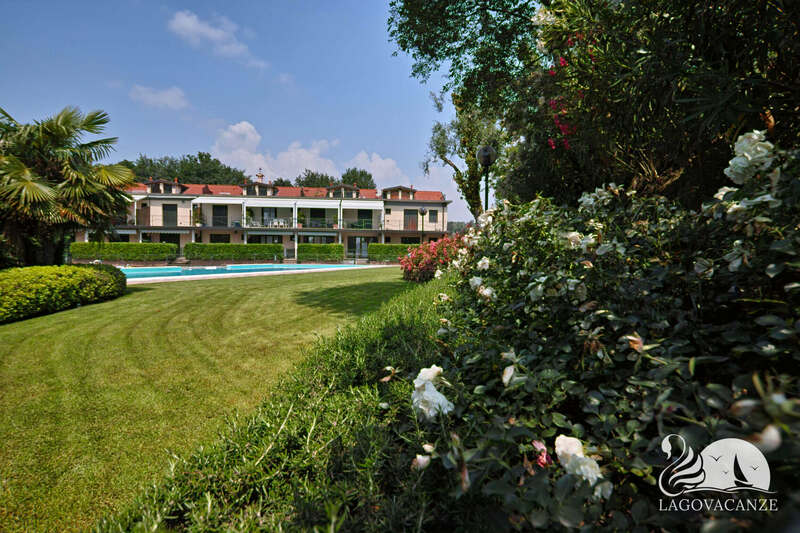 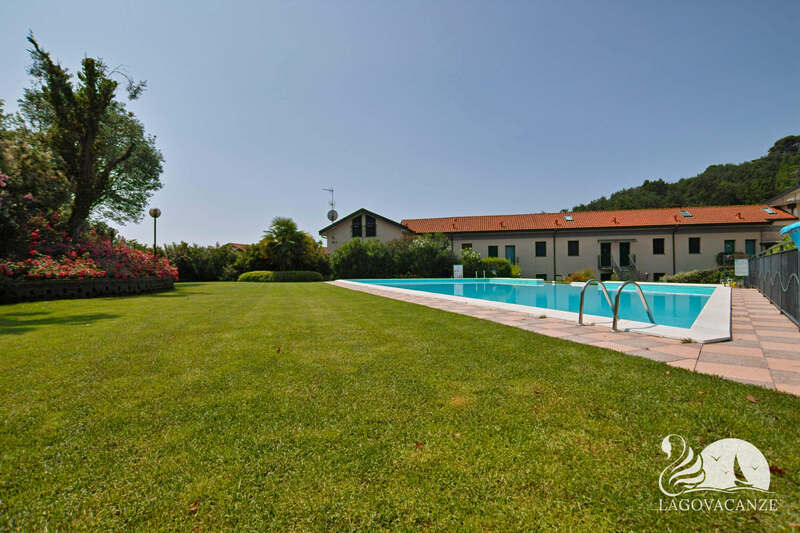 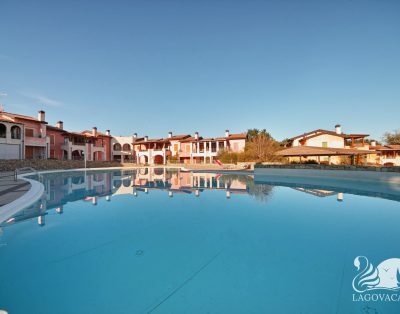 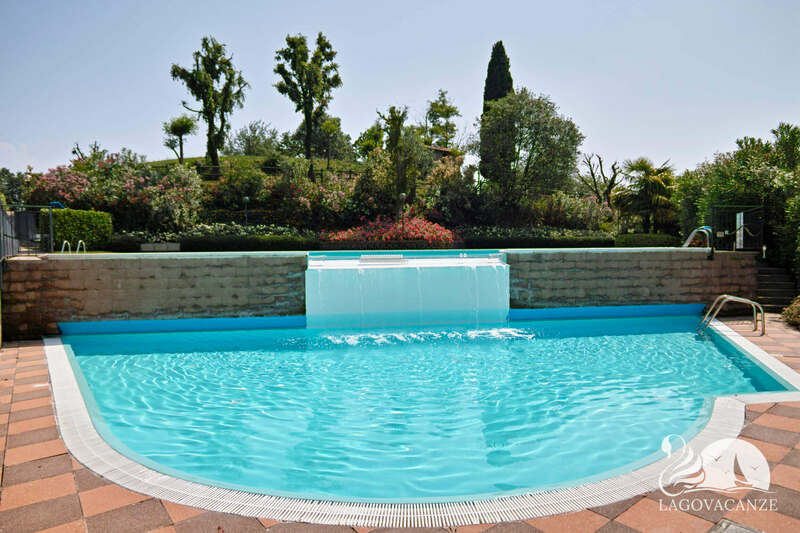 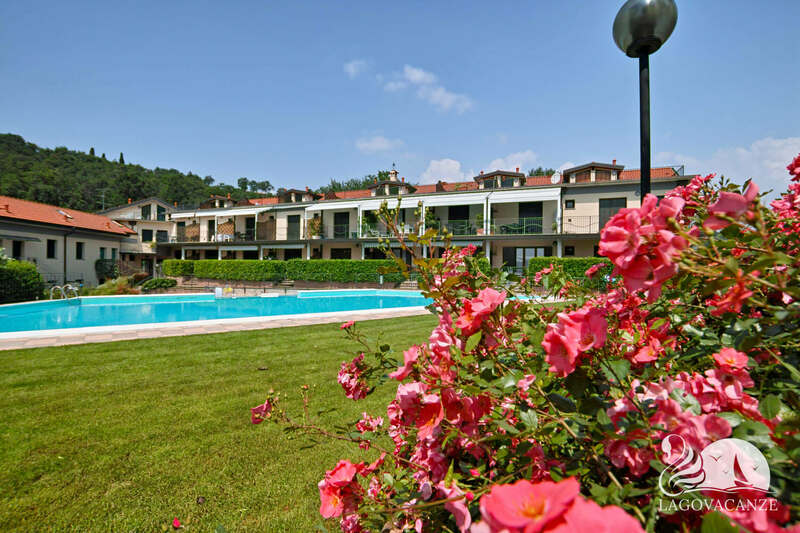 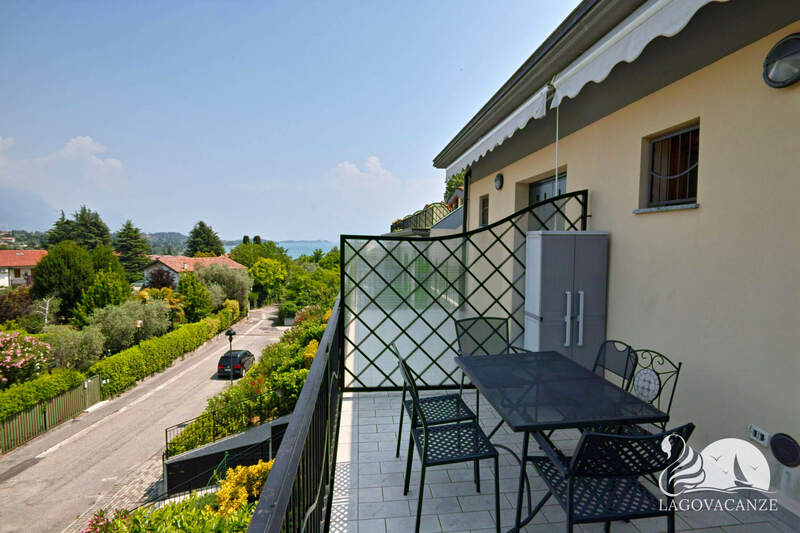 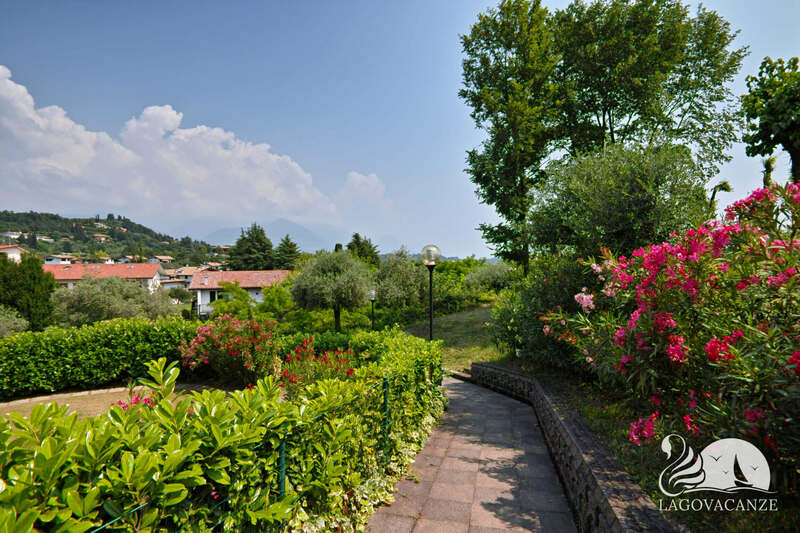 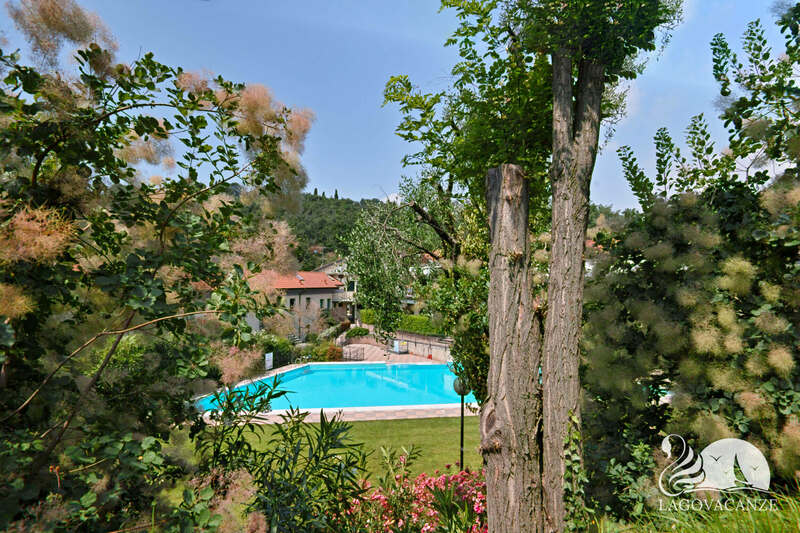 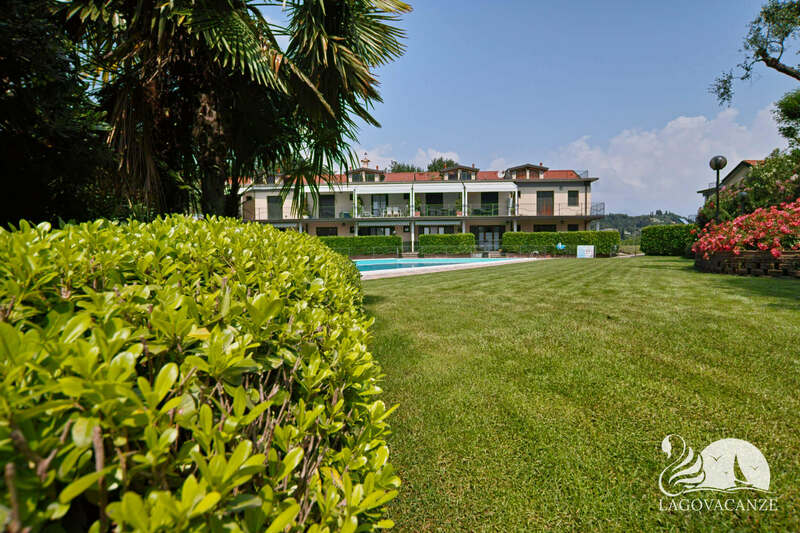 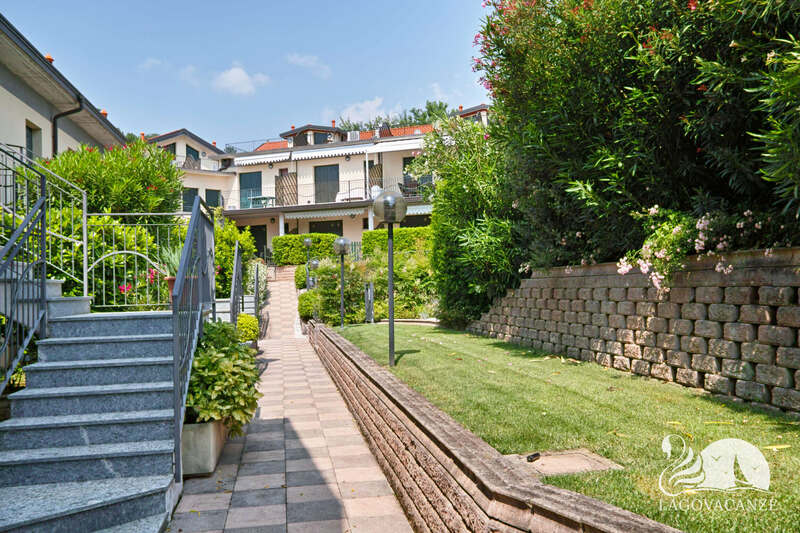 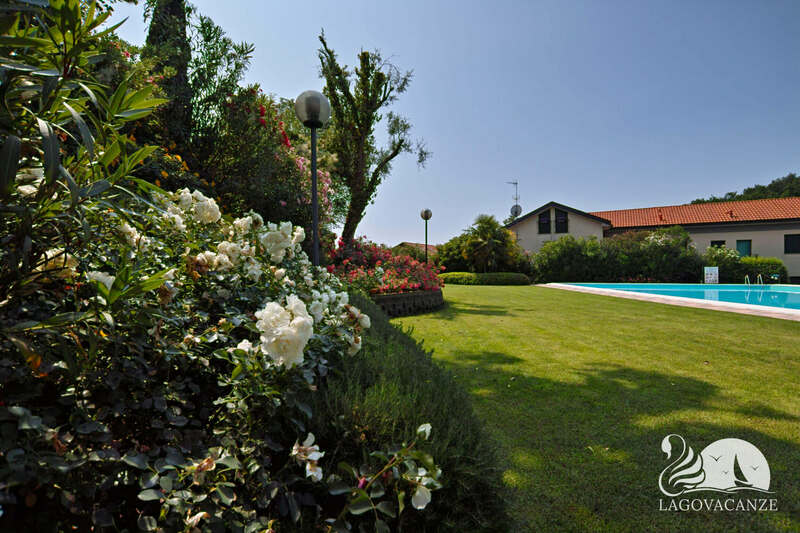 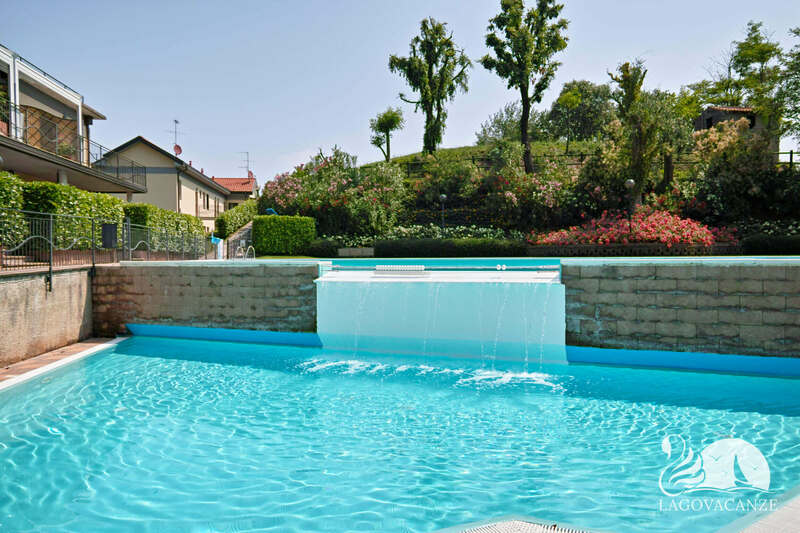 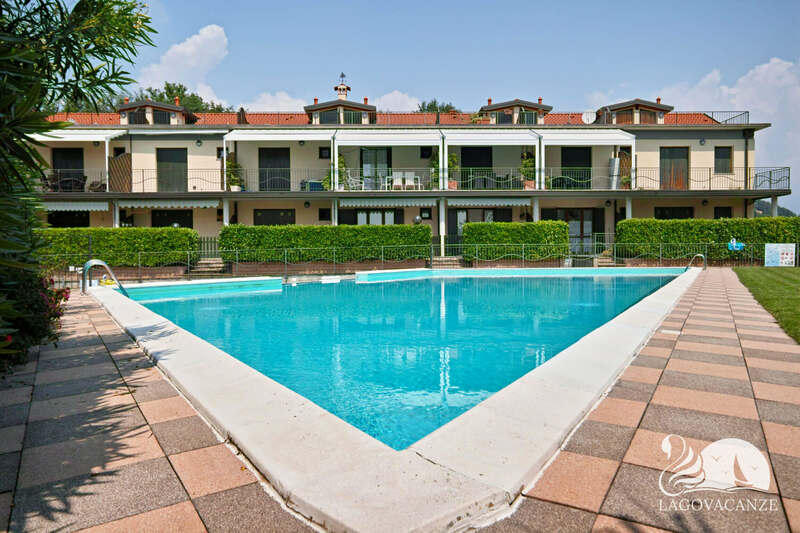 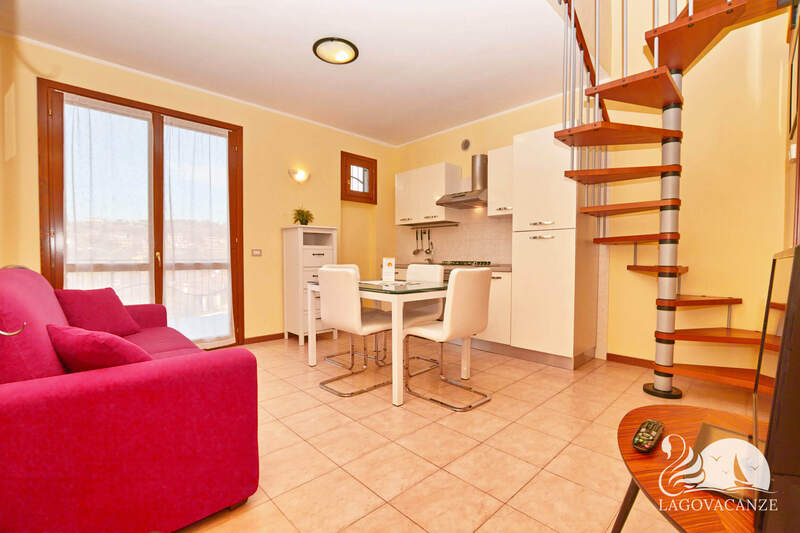 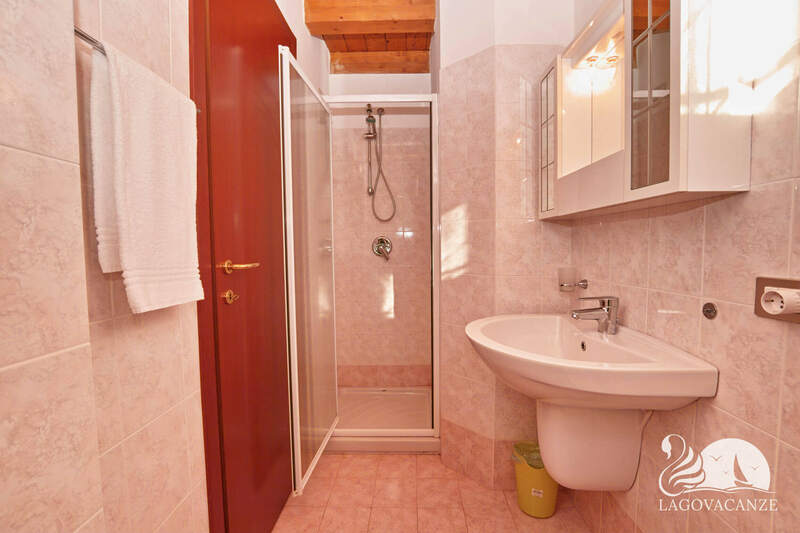 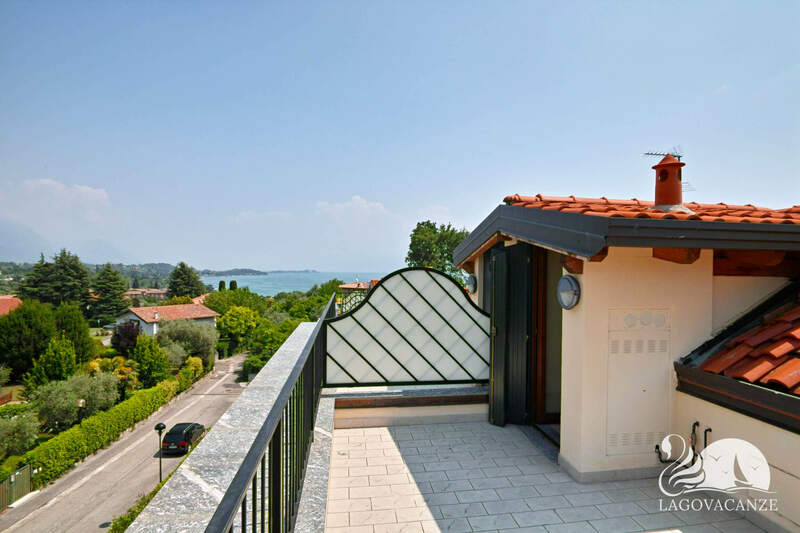 Ideal for families, until 6 persons, who would like to spend an holiday nearby to the Garda Lake. 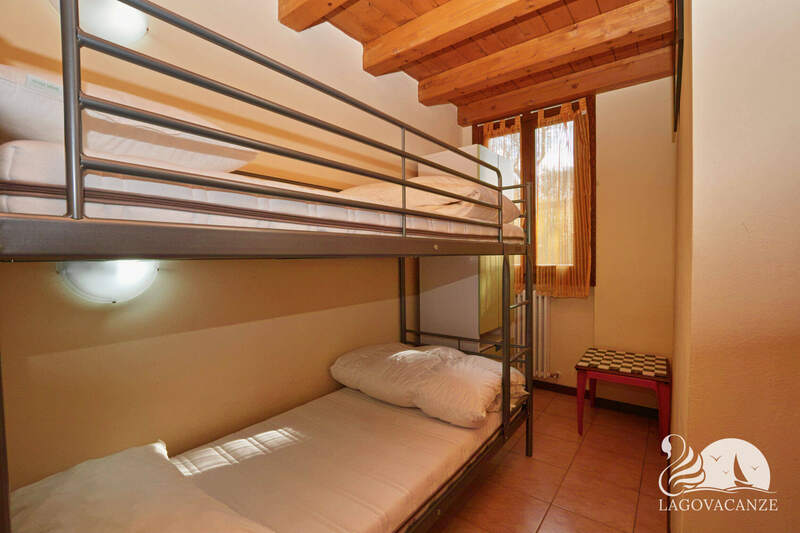 The apartment has every type of comfort and accessories, is located on two floors. 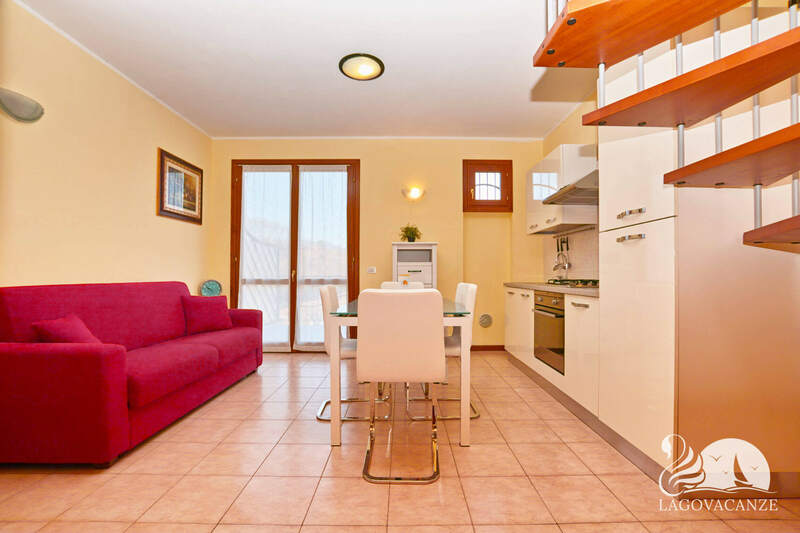 The living room, at first floor, has a dining table, an equipped kitchen, master sofa bed and tv. 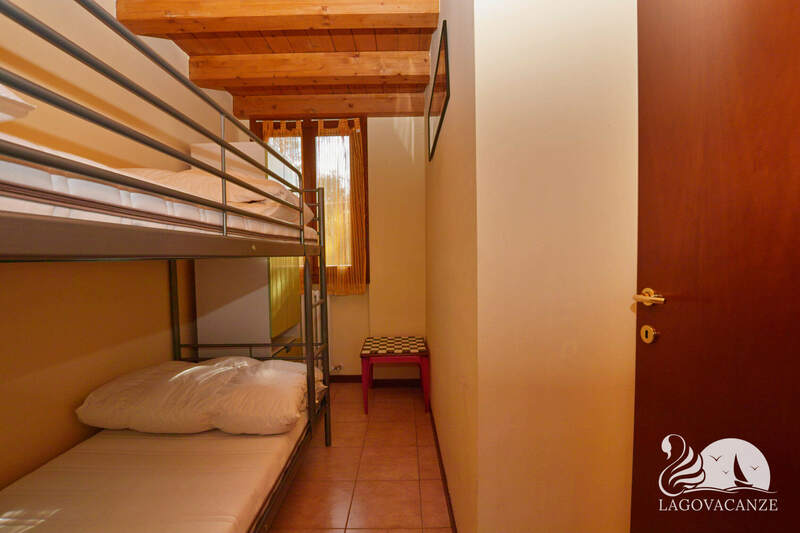 Always at first floor, there is the bathroom and the bedroom with bunched bed. 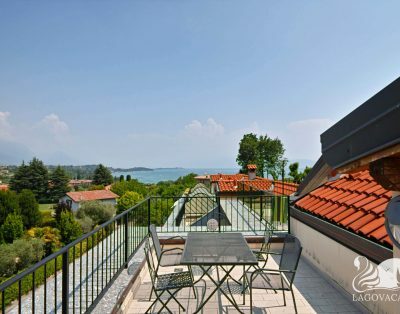 In front to the living room there is the first private terrace with dining table and awnings, where you can spend your summer evenings in absolutely relax. 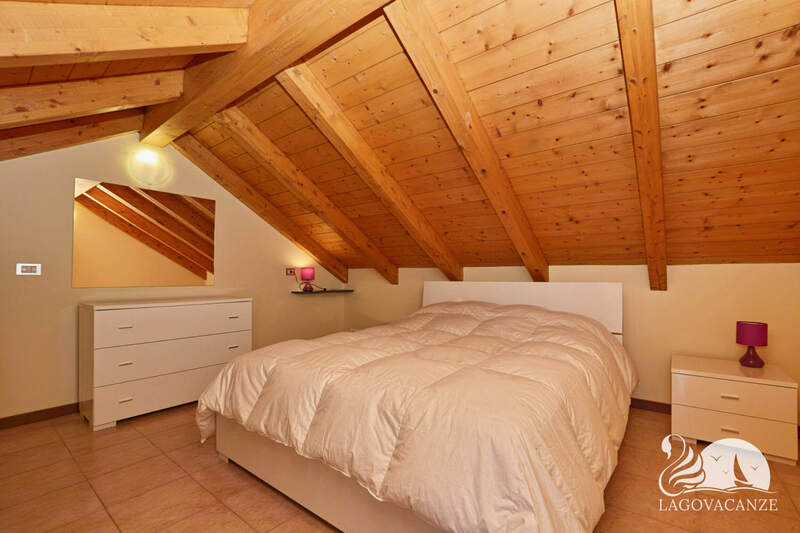 At the second floor, there is the second bedroom with master bed and the second private terrace with a marvellous view.